Here in Pinellas County, we have an average of 244 perfect pool days throughout the year. That’s 244 days where the weather is perfect for swimming. If you own one or several pools, that’s 244 opportunities for your customers to get in the water, have a great time, and build positive feelings toward your place of business. Want to keep things going smoothly for each of those 244 days? You’ll need a company you can rely on, and one of the most common reasons for a business owner to change who they partner with is, “My pool guy doesn’t return my calls.” At Gold Medal Pool Service, we’ve spent more than 30 years proving to clients in St. Petersburg, Largo, Clearwater, and the greater Pinellas County area why we’ve been in business so long. Part of it is a deep and detailed understanding of pool maintenance. Got a problem with a heater? Have a pool floor that has unsightly streaks? Whatever the problem, we can handle it. If you need regular cleaning services in order to keep your customers happy, we’ll make it happen. We also believe in top-quality customer service. Our team makes it easy to reach us, takes the time to answer all your questions, and will do whatever it takes to leave you thrilled. We don’t compromise on quality and efficiency. 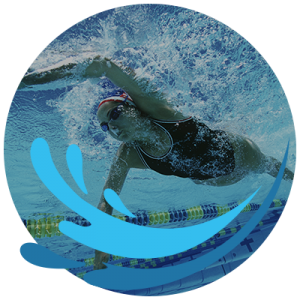 Here’s why we’re qualified to turn your pool into an Olympic-standard pool all-year-round. For more information or to schedule a free estimate, contact us online or by phone today!